Banffshire & Buchan Coast MSP Stewart Stevenson has expressed his deep concern over the revelation that the UK Government Treasury will raid the £1 billion fund allocated to support the development of Carbon Capture and Storage (CCS) technology. Following the decision to scrap plans to develop this technology at Longannet earlier this year, Peterhead power station had been widely considered to be in pole position to benefit from this funding. At the time the plans to fund a CCS plant at Longannet collapsed, UK Ministers promised that the funds would be ring-fenced for a new carbon capture competition and it was widely expected that the funds from this would be disbursed within this Westminster parliamentary term. In 2007, previous plans to develop CCS technology at Peterhead collapsed following BP’s withdrawal from the project citing dithering and delay on the part of the UK Government. “In 2007 Peterhead lost the chance to lead the world in developing Carbon Capture thanks to UK Government dithering and incompetence and it beggars belief that they may have just pulled the rug out from under plans to develop the technology there again. “Delaying the distribution of funds until the next parliamentary term at the earliest is a significant and unexpected delay and the threat it poses to the future of Carbon Capture at Peterhead should not be underestimated. “Just a few weeks ago, Scottish & Southern Energy and Shell signed a deal to store carbon dioxide from Peterhead under Shell’s Goldeneye field and real progress towards a CCS project at Peterhead was being made. At a stroke, the UK Government has now put all that in jeopardy. “I am absolutely appalled by the way that the UK Government has yet again let down people in Banffshire & Buchan Coast. It has been estimated that a CCS project in Peterhead would create up to 937 jobs and be worth £130 million every year over the course of its lifetime. There will be real anger in Peterhead and the wider area if this project now does not proceed. For the first time, everything you want to know about Scotland's environment will now be available at the touch of a button.Today also sees the publication of the second State of the Environment Report to mark the new website provided by Scotland's key environment and health agencies. Scotland's Environment Web - named SEweb - aims to be the gateway to everything you want to know about Scotland's environment. This three year project, supported by funding from the European Union, will put Scotland at the global forefront of sharing environmental information, prioritising problems and involving citizens in assessing and improving their own environment. The first major project to be hosted on SEweb Library is the State of the Environment Report which paints a generally positive picture about the condition of our environment, said to be worth 23.5 billion pounds per year.This latest official government report provides the most comprehensive insight yet into the condition of Scotland's environment. It offers important information and data on how the quality of the country's land, air and water impacts on people's quality of life and how these relate to the decisions we make and our lifestyle. "SEweb is a fantastic public resource and a result of excellent collaboration between our public agencies. As well as acting as a gateway to information, it will helps us meet EU reporting requirements. "We owe it to future generations to protect Scotland's rich and vibrant environment, and it's essential that every one of us begins to take responsibility for reducing bad impacts. I have no doubt that SEweb will pay a vital role in forming the decisions that make Scotland a clean, green country. Please use it." Reducing our contribution to climate change - Scotland is moving in the right direction but we have to do more. Improving our quality of life - the majority of Scottish towns and cities are generally good places to live, but there are still issues such as poor air quality, litter and noise. Managing our resources better - we can all help by more efficiently using resources and improving recycling rates. Managing land for multiple benefits - we must achieve a balance between protecting the environment and benefits such as the production of food, the management of forests and enjoyment of recreational opportunities. Improving the condition of our water environment - we need to continue to address problems such as impacts associated with land management and the health of migratory fish stocks. Reducing human impact on our seas - there are two significant pressures on the marine area which are widespread: human activity contributing to climate change and fishing which impacts on the seabed and species. Over the three years of SEweb there will be opportunities for the public to get involved with Scotland's environment and will create a forum for debate and assessment from all corners of the environmental community. SEweb will be introduced in three phases. Partner agencies coming together to create SEweb include: Scottish Government, Scottish Environment Protection Agency, Forestry Commission Scotland, Scottish Natural Heritage, Historic Scotland, Marine Scotland, Scottish Environment LINK. James Hutton Institute, Food Standards Agency Scotland, Convention of Scottish Local Authorities and Rivers and Fisheries Trusts of Scotland. The Minister for Environment and Climate Change today announced the appointment of a Deputy Chair and four Board Members to the Scottish Environment Protection Agency (SEPA). The appointments will be for a period of four years from January 1, 2012 to December 31, 2015. 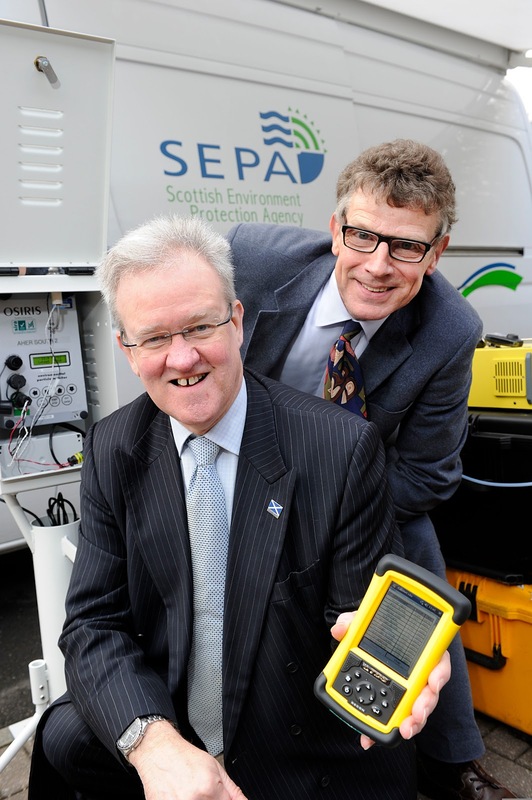 Bob has been a member of SEPA's Board since 2008, and has chaired the Agency's Audit Committee. He brings a wealth of experience of executive and non-executive from across the public, private, and voluntary sectors to the role. 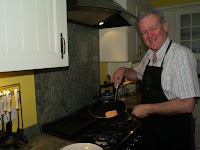 He also has extensive experience of strategic analysis, operational excellence, communication management, digital technology application and transformation and change management.In addition to his new role as SEPA's Deputy Chair, Bob is also currently a non-executive director of the Care Visions Group, a UK wide private social and health care service business, a Governor at the Glasgow School of Art and an Advisory Board member for both ScotRail and the Glasgow University Business School. He has also helped with local economic ventures, especially in Northern Ireland, and has provided advice to small technology businesses throughout the UK. Previous roles have included a directorship with BT Group, a role which ended in September 2011.Mr Downes holds a public appointment as Governor and Non Executive Director at Glasgow School of Art. This is a non-remunerated appointment. Lesley brings considerable experience from both the public and private sector. She has held a number of senior positions in international utilities, strategic consultancy, logistics and VisitScotland, Scotland's national marketing and tourism agency. In her current role, as Chief Executive of the Scottish Council for Development and Industry (SCDI), Scotland's leading independent economic policy organisation she works closely with members, stakeholders and decision makers to promote economic growth for Scotland and to maximise the effective use of Scotland's environmental resources and natural assets. Through her role in SCDI, Lesley brings to the SEPA Board significant knowledge and experience of regulated industry, local authorities, non governmental organisations (NGOs) and the voluntary sector. She also has knowledge and experience in relation to promoting and developing science and engineering contributions to the Scottish economy. Lesley holds no other public appointments. After a PhD in Astrophysics, Richard completed an energy and environment MSc at Glasgow Caledonian University. After working for Community Service Volunteers (CSV) and Strathclyde Regional Council, he was appointed Head of Research at Friends of the Earth Scotland in 1994. After eight years working on issues as diverse as climate change, bathing beaches and fish farming, he moved to become Head of Policy with WWF Scotland in 2002. In this role Richard led a six-strong policy team working on marine, freshwater, climate, education and resource consumption issues. Richard took over as Director of WWF Scotland in July 2005 and continues to work on energy and climate change issues. Richard has been particularly involved in the setting up of the Stop Climate Chaos Scotland coalition, which pressed for Scotland's strong climate targets and aims to help deliver them., Richard brings to the SEPA Board extensive knowledge and experience of regulated industry, local authorities, NGOs and the voluntary sector, as well as knowledge of marine, freshwater, and climate change issues. Richard holds no other public appointments. Professor Bill McKelvey has been Chief Executive and Principal of the Scottish Agricultural College (SAC) for the past 10 years. He brings to the SEPA Board significant knowledge and skills in agriculture, land use and rural affairs. His contributions to these sectors were recognised in the 2011 Queen's Birthday Honours List when he was awarded an OBE. As part of his role at SAC he has led one of the Scottish Government's Main Research Providers, managing an £18m research programme which includes work on environmental improvement and climate change skills which will prove useful in helping direct SEPA's own research programme. His academic credentials were recognised by his recent election to the Royal Society of Edinburgh, Scotland's National Academy of Science. Bill holds no other public appointments. Keith's background is an unusual blend of internationally-recognised scientist and an award-winning company director. As a chemistry professor working on environmental and energy systems he has worked in universities in Papua New Guinea, New Zealand, Denmark and Scotland until he decided to move full time into consultancy. As CEO, Keith founded and managed several firms including EnviroSurveys (NZ) and The TP Group, and has held directorships in a range of environmental and technical consultancies. He has acted as a scientific advisor to past governments in Papua New Guinea, New Zealand and, through the Royal Society for Chemistry, UK MPs, specialising in environmental forensics and impact analysis. Keith Nicholson holds a public appointment as a board member for Scottish Natural Heritage. Remuneration amount for this post is £8,000 per annum. The Deputy Chair post is part-time and attracts a remuneration of 270.90 pounds a day for a time commitment of 3 days per month. Board member posts are part-time and attract a remuneration of 270.90 pounds a day for a time commitment of 2 days per month. The Scottish Environment Protection Agency is a Non-Departmental Public Body with a Board appointed by, and accountable to Scottish Ministers. 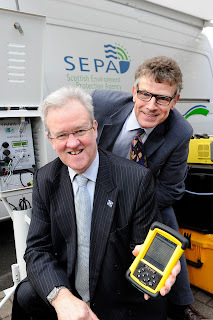 SEPA was established by the Environment Act 1995 and became operational on April 1, 1996. The Environment Act 1995 also sets out SEPA's powers and responsibilities. This Ministerial public appointment was made in accordance with the code of practice published by the Public Appointments Commissioner for Scotland.All appointments are made on merit and political activity plays no part in the selection process. However, in accordance with the original Nolan recommendations, there is a requirement for appointees' political activity within the last 5 years (if there is any to be declared) to be made public. None of the appointees have undertaken any political activity within the last 5 years. National statistics published today show that production of Scottish Farmed Salmon increased by 6.9 per cent in 2010, to the highest level in six years. At 154,164 tonnes, Scottish salmon production in 2010 was worth £539.6 million - over 30 per cent up on value of salmon produced in 2009, reflecting increases in both prices and production. "Scotland is a global player in farmed salmon - the largest in the EU and third in the world alongside Norway and Chile. I'm pleased that the industry has been able to achieve steady growth in farmed salmon production once again this year, demonstrating that demand for quality Scottish Farmed Salmon remains very high. "Today's impressive figures show that salmon farming continues to dominate fish production in Scotland, which is unsurprising given that new international markets are opening up, with more people than ever before choosing to include healthy, Omega-3 rich salmon in their diet. "The survey shows direct employment in the fish farming industry has increased by over 100 to some 1,500 people. With many more indirect jobs supported, this provides an importance contribution to the Scottish economy, particularly in rural communities in the West Highlands, Western and Northern Isles. "The Scottish Government is confident that in the coming years we can continue to see managed and sustainable growth in the sector, while ensuring high environmental and fish health standards." Farmed salmon is Scotland's single largest food export. The top five export markets for Scottish salmon are USA, France, Poland, Ireland and China. The value of farmed salmon produced in 2010 is 30 per cent higher than 2009, when 144,000 tonnes were produced, worth £412 million. Figures for 2010 show that Scotland's total rod catch for wild salmon was the highest on record, with 110,496 salmon caught, up 31 per cent on the previous five year average. Banffshire & Buchan Coast MSP Stewart Stevenson will attend an event on Friday 18 November (tomorrow) at 11.00am where Bank of Scotland will highlight their support for the Fraserburgh fishing industry with one of their customers and his £500,000 investment in a new vessel as it heads out of the harbour to fish for scallops and prawns. Mr Stevenson will meet with bank officials and customers at the Bank of Scotland, Seaforth Street, Fraserburgh at 11.00am before the party walk to the harbour to inspect the vessel. Banffshire & Buchan Coast MSP Stewart Stevenson has encouraged residents of Banffshire & Buchan Coast to take part in Transport Scotland’s Rail2014 consultation which launched today (Tuesday). The consultation offers the chance for ordinary people to shape the future of the rail network in Scotland following the current funding arrangements for Network Rail in Scotland and the current ScotRail franchise coming to an end in 2014. “Even though it is of course true that Banffshire & Buchan Coast has no stations and only the smallest stretch of track within the constituency, that does not make the views of local residents any less important. “Many people may wish to make their views on rail services in the rest of the country known or perhaps call for changes to the rail network that would make it more readily possible for people in the constituency to use the railway as part of their journeys. This consultation gives them the chance to do that. A new service launches today which aims to better protect the public in the event of a significant air pollution incident, just hours after it was deployed to monitor air pollution during an incident in the Firth of Forth. The Airborne Hazards Emergency Response (AHER) service will improve the provision of information about airborne hazards during a significant incident, for example during an explosion or a major fire. This will allow NHS Scotland and the emergency services to assess the potential risks to human health and mitigate them. Introduction of the new service has been led by the Scottish Environment Protection Agency (SEPA) in partnership with Health Protection Scotland (HPS), Fire and Rescue Services, the Met Office, the Police, Scottish Government, Food Standards Agency Scotland, Health Boards, Local Authorities, Health and Safety Laboratory and the Environment Agency in England and Wales. 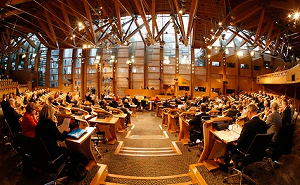 The Scottish Government has provided funding of £2 million over three years for the project. A substantial proportion of this funding has been spent on scientific monitoring equipment. The service has a fully equipped mobile laboratory, two response vehicles and a range of scientific equipment dispersed across the country which will be deployed in the event of a significant incident and onsite air monitoring will continue until the threat from the incident has passed. "The main aim of the service is to protect the public in the event of a significant air pollution incident by providing interpreted and informed scientific advice on airborne hazards to colleagues in NHS Scotland. This new service will provide a much improved capability for assessing the hazards associated with significant air pollution incidents, and will provide much better protection for the public and the environment from the risks associated with these types of incidents." "Protecting and informing the public are two key priorities during a major air pollution incident. "The Air Hazard Emergency Response (AHER) service is an important tool which will help inform the public, emergency services and SEPA about any potential air quality implications arising from a major accident. This is a fantastic example of agencies working across boundaries to get maximum use of our available resources." AHER was deployed yesterday afternoon following a suspected spill from a pipeline between Hound Point Terminal and Dalmeny Tank Farm, which resulted in ballast water entering the Firth of Forth and the release of Hydrogen Sulphide into the air. The SEPA vehicle remained on site until 22.00 last night collecting information, which was passed on to Health Protection Scotland so they could provide advice and guidance to NHS Lothian on public health matters. Monitoring showed that while there was a strong odour over the area, levels were not at a point where they were a risk to human health. AHER arrived back on the scene at 7.30 am today and will continue to collect data and provide it to partner agencies over the course of the day. Levels this morning have slightly dropped since yesterday. Banffshire & Buchan Coast MSP Stewart Stevenson has welcomed the Scottish Government’s announcement that Fraserburgh Harbour is to benefit from a £7.5 million investment from the European Fisheries Fund. The grant will be used to deepen part of the harbour, giving access to more boats, and also to improve facilities at the site. Designed to support investment in the fisheries sectors, the EFF programme assists with capital investment in the aquaculture, fishing and fish processing industries. Since its launch in 2007, around £60 million has been invested in Scotland’s fishing industry. ﻿ ﻿ “This is a fantastic announcement for Fraserburgh and a real boost for the fishing industry in the area. The fishing industry has had to endure enormous difficulties in recent years, but announcements like this are an important part of ensuring the industry has a sustainable, profitable future ahead of it. “The Scottish Government is firmly committed to supporting our fishing industry and this latest announcement only serves to underline that fact. I know it is something that will be warmly welcomed by people in Fraserburgh. Banffshire & Buchan Coast MSP Stewart Stevenson will notch-up his 750th surgery this week. The SNP MSP will be holding surgeries on Friday (18 November) and will reach the impressive landmark when he holds a surgery in the Town House in Buckie that day. “I try very hard to be accessible to people in their own communities. In addition to my regular surgeries in the larger towns like Buckie, Banff, Fraserburgh and Peterhead, I ensure that every village and smaller community has a surgery every summer as part of my tour with my Mobile Office. 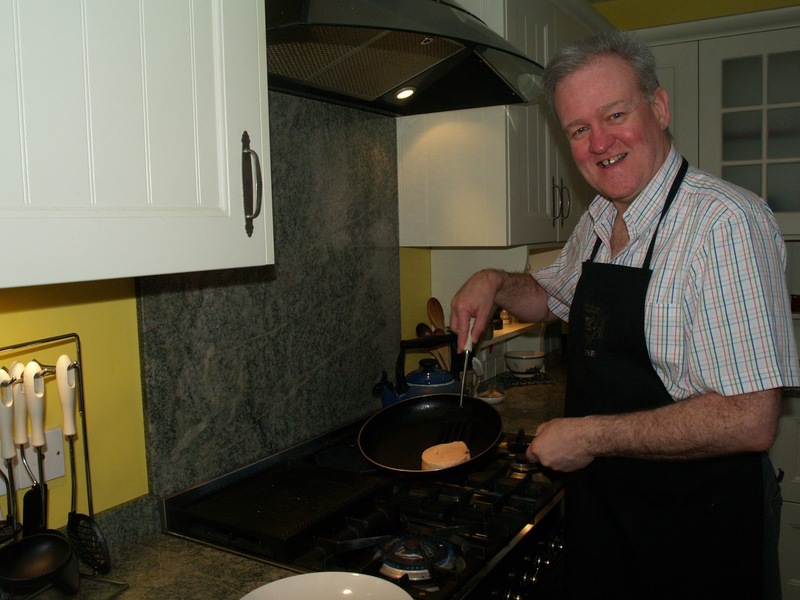 “In addition, I hold surgeries at summer events such as Portsoy Boat Festival and Turriff Show so that people can meet me at their convenience. Mr Stevenson is also holding a surgery in Banff on Friday. 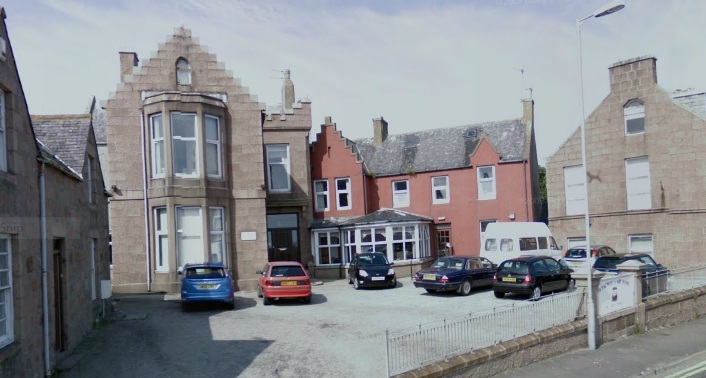 Anyone wishing an appointment for either Banff or Buckie should contact the Constituency Office on 01779 470444. The Scottish Government has today signalled its continuing support for community based woodland projects with another £250,000 cash boost towards next year’s Community Seedcorn Fund. The popular Fund is run by Forestry Commission Scotland and gives small grants to groups and organisations to encourage small scale woodland projects that benefit communities. “The Scottish Government is firmly committed to genuine community engagement, both directly and through organisations like the Community Woodlands Association (CWA). “The CWA has nearly doubled in size since its formation in 2003 to become an important stakeholder for government and it has delivered some excellent work on the ground for communities. “Helping communities kick-start their local projects is a key theme of the Commission’s Community Seedcorn Fund. The Fund is already giving financial support for volunteering, skills development and community health promotion schemes. “The programme has proved to be so popular that I am matching this year’s budget and allocating another £250,000 for next year." The Strathnairn Community Woodlands initiative is one example of a local project to receive funding this year. The initiative is now providing chainsaw training for a group of volunteers so that they can manage their local woodland better and provide a welcoming place for community activities. The Kirkhill and Bruchew Community Trust was also awarded financial support to buy hand tools for their volunteers so that they could maintain their local woodlands. The Trust also plans to buy tarpaulins, cooking utensils and steel storage boxes to help the local Scout troop in achieving their Forester badges and to run open days. “The CWA warmly welcomes the Minister's announcement of next year's Community Seedcorn Fund. “The Fund has proved very popular this year and has been invaluable in supporting a wide range of community woodland projects in both urban and rural Scotland. The application process is straightforward and the decision process is quick and this is highly appreciated." “I have been in contact with the administrators, PKF, this morning regarding the situation as clearly there will be some people with relatives and loved ones at Wyndwell who may be concerned. “The administrators were at pains to reassure me that there is no risk of closure and they have operators in place running the care homes as usual. Banffshire & Buchan Coast MSP Stewart Stevenson has condemned comments from new Scottish Tory Leader, Ruth Davidson that she would welcome a return to taxes on the sick. Ruth Davidson's honeymoon period as leader of the Tories in Scotland came to an abrupt end live on TV when she was asked about her Tory policy of reintroducing prescription charges in Scotland. After efforts to evade the question Ms Davidson conceded that the Tories would bring back the tax on the sick which the SNP Government has abolished. "The SNP abolished prescription charges to help family budgets and stop penalising people who suffer from ill-health. "The Tories say we shouldn't do this. They want to make the sick and the medium-low income families cough-up to get well. "Ruth Davidson should try and explain that to the 600,000 Scots on incomes of only £16,000 who would be forced to pay for their medicine. "The Tories might have a new face at the front their party but the people of the North-east know better than to fall for their old tricks." Banffshire & Buchan Coast MSP Stewart Stevenson has shown his support for the UN World Diabetes Day which takes place on Monday 14th November. “Given the escalating diabetes epidemic it is important that awareness is raised of the condition and this year, the campaign is concerned with diabetes in children and adolescents. “Many people are unaware that babies and toddlers can be sufferers and we have to remember that diabetes is a potentially killer disease, so the more people are aware of the condition, the symptoms and treatments available the better. Stewart Stevenson MSP, Scottish Government Minister for Environment and Climate Change, recently accepted an invitation from the Nith District Salmon Fishery Board (NDSFB) to visit the Nith catchment to witness the Board’s work and its management of the river and its tributaries. Mr Stevenson attended a Board meeting at the Cairndale Hotel on 31st October where he saw at first hand how the Board operates and conducts fishery management. Agenda items included fisheries enforcement and renewable energy proposals through to planning applications, survey work, hatchery operations and other business. Mr Stevenson entered into the free exchange of views and comments with Board members and attending invitees from SEPA, SNH and the Nith Catchment Fishery Trust. The following morning the Minister accompanied Board Members and SEPA representatives on a trip from Dumfries through the catchment to New Cumnock where he attended two open-cast coal sites to view river diversion projects that have allowed or are in the process of enabling coal to be removed from beneath the bed of the River Nith. The Minister had expressed a desire to observe how the Board works with other key stakeholders in ensuring the welfare of salmon, sea trout and other fish species whilst still permitting industrial projects to proceed. The Board uses current fisheries legislation to protect the aquatic environment. The first visit was to Kier Mining’s site at Greenburn where a river diversion channel was under construction to allow for the river to be diverted to a new purpose built course in order to permit open cast coal operations under the existing bed of the river. The necessary engineering procedures were explained by Kier Mining staff and details of the creation of fish habitats within the new river course together with the plans for fish rescue from the original river course were described by Board staff. The group then visited Scottish Coal’s House of Water open cast site where they were shown a river diversion channel which had been completed in 2004. Scottish Coal outlined how the channel had been constructed over the reinstated ground of a former open cast coal site and Fishery Board staff described habitat features and riparian planting schemes which have benefited aquatic life to thrive. Scottish Coal demonstrated the various methods of work in the mine and the group saw a controlled explosive blast to free up rock and coal for excavation from the site. The group were also shown examples of mine water discharge treatment carried out to prevent pollution from entering the river system. “We are very pleased that the Minister honoured us with such an extensive visit. He demonstrated a close interest in and detailed knowledge of the diverse issues that face the Board in its implementation of local fishery management”. Banffshire & Buchan Coast MSP Stewart Stevenson has shown his support to Lung Cancer Awareness month which takes place throughout November. “Lung cancer claims the lives of more than 34,000 people in the UK every year - more than leukaemia, breast and prostate cancer combined – and yet lung cancer still falls far behind other major cancers in awareness. “Lung Cancer is often associated with smokers, but it must be stressed that non smokers are at risk at contracting the disease. “Symptoms such as a continuing cough, breathlessness, having difficulty swallowing, or experiencing a dull ache or sharp pain when you cough or take a deep breath should be discussed with a GP. Organisations and community groups across Scotland, who are running projects to do with managing and enjoying nature, are to benefit from a new online grants service. The service, launched this week, is available on the Scottish Natural Heritage (SNH) website where customers can apply for a grant and access grant information and advice. Projects will be given priority if they help engage people with nature, improve the management of nature and landscape, or create better places in the Central Scotland Green Network area. Another priority is to improve the management of wildlife; for example, tackling problems of invasive non-native species before they get established will help Scotland to save money in the long-term. "The natural environment is Scotland's most valuable asset. We need to look after it so that it helps to improve our health and quality of life as well as our economic prosperity. "Supporting projects that help deliver as many of these opportunities as we can is an essential part of this work. We're keen to back projects that are innovative, targeted at key groups, such as young people, people with poor health and people on low incomes, and which address barriers to participation, such as poor health, age and lack of confidence." "Scotland's nature and landscapes make a significant contribution to people's livelihoods, as well as their health and education. We are very keen to encourage more people and communities to become actively involved in looking after it. I very much welcome this new service which will make it easier for groups to apply for SNH funding, with a clear understanding of what the priorities are." There are two types of grants available. Natural Project Grants are aimed at larger scale, longer term projects, of £10,000 and over. The deadline for these is 30 November 2011, with decisions by end of February 2012. Community Action Grants will open for applications early in 2012. These grants are aimed at projects of 12 months or less, and between £1,000 and £20,000, that help get more people and communities involved in outdoor recreation, volunteering, outdoor learning, recording nature and biodiversity work. There will be no deadline for these applications as they can be received at any time. Minister for the Environment & Climate Change, Stewart Stevenson, today (Thursday 3 November 2011) welcomed the launch of the UK Forestry Standard (UKFS), which sets the benchmark for sustainable forest management in Scotland. Developed by the Forestry Commission and the Northern Ireland Forest Service in consultation with a wide range of interests, the UKFS applies to all woodland, and is the code of practice for forest management. “This is a welcome addition to the ongoing effort to ensure that forests and woodland across Scotland – and indeed the UK – are managed sustainably and in ways that enhance the economic, social and environmental benefits of forestry. Mr Stevenson also welcomed the revision of supplementary guidelines on how to meet the requirements of the Standard, which has made them more accessible, and the fact that no new regulations or burdens have been introduced. Further details about the UKFS and Guidelines, including updates and links to supporting information, can be found at www.forestry.gov.uk/ukfs. People are being asked to be extra vigilant following a spate of deer poaching and deer coursing in Fife and Tayside. In one incident, deer were seen running between vehicles on all four lanes of the A92 in Fife in a bid to escape their pursuers, endangering not only the deer but the public as well. "The fight against wildlife crime is of paramount importance to us and the illegal practice of deer poaching and coursing is unacceptable. I welcome the joint working by partners in Fife and Tayside to clampdown on this barbaric pursuit and would urge members of the public to report any suspicious activity to the local police." Fife Council's Animal Health department, who are represented on the Fife Partnership Against Wildlife Crime, are looking into links with commercial distribution of poached game. The council will alert Fife police Wildlife Crime Co-ordinator Ian Laing if any links are suspected between poaching and venison products. "We sometimes see an increase in poaching and coursing at this time of year because game is more evident in fields in which the crop has been harvested, and there are more hours of darkness. We suspect poachers are generally looking to make quick money by selling the venison, while the coursers mostly send their dogs to chase the deer for sport. In both cases, although particularly coursing, the deer are likely to suffer a cruel death. "We have instances of people who are not legitimate, experienced deer stalkers failing to make a clean kill and leaving deer maimed, which a genuine deer manager would never do. The public can help by reporting suspicious activity involving, for example, unfamiliar vehicles or people. We would also ask that if you see torches being flashed around fields at night or find any discarded deer remains to contact the police"
Fife and Tayside police have also joined forces with the Scottish Society for the Prevention of Cruelty to Animals and the British Association for Shooting and Conservation to carry out weekend patrols and further operations are planned. "Poachers and coursers, whatever their intended quarry, are unscrupulous and ruthless criminals with the advantages nearly all on their side. They tend to operate under cover of dark in remote rural areas and policing this sort of crime is clearly challenging. It is imperative then that those living and working in rural areas are switched on and aware of this illegal activity and act as the eyes and ears of the police on the ground. "Active awareness raising in rural communities, intelligence gathering, responsive policing and then enforcement action on the ground are key in combating these crimes and in some areas we are now seeing the results. Scottish Land & Estates farming and estate members will continue to support Fife and Tayside police to make further progress in combating this area of serious rural crime." PAW Scotland is the Partnership for Action against Wildlife Crime in Scotland. PAW Scotland membership encompasses a wide range of bodies with an interest in tackling wildlife crime including conservation, land management, sporting and law enforcement organisations. Environment Minister, Stewart Stevenson this week visited the Langholm Moor Demonstration Project and heard about the innovative work going on there – as well as a Scottish bird of prey on holiday in Spain. Mr Stevenson was able to see first hand the work taking place on the moor to integrate conservation and grouse moor management. The Langholm Moor Demonstration Project is a partnership of Scottish Natural Heritage, Buccleuch Estates, Game and Wildlife Conservation Trust, Royal Society for the Protection of Birds, and Natural England. The Minister noted the good co-operation between all the project staff, both game management and conservation workers, which is contributing to a robust evidence base on the merits of different management activities. Simon Lester, the project’s head keeper, showed the Minister a range of techniques used on the modern grouse moor including predator control, heather recovery from heather beetle attacks, and burning practices to benefit grouse and other birds. The Minister was able to see areas of the moor that had been badly affected by heather beetle (a damaging pest on heather moors) in recent years and which had been burnt under new muirburn licensing provisions brought in earlier this year – the first moor in Scotland to be so licensed. Mr Stevenson’s interest was particularly drawn to the project’s role in testing and promoting diversionary feeding of hen harriers. Hen harriers are known to prey on red grouse so scientists have been leaving alternative food sources, such as day old chicks and rats, near hen harrier nests for the birds to take. After four hen harrier breeding seasons, no grouse chicks have been detected being taken into breeding hen harrier nests, leading to a developing consensus amongst partners that this can be an effective management technique. The Minister heard how young hen harriers are being tracked using satellite tags. One bird, nick named McPedro, which bred on Langholm moor in 2010 spent last winter in Spain. Two other birds tagged on Langholm and a north England moor are currently being tracked in western France. “The project at Langholm Moor is of crucial importance in finding a way for driven grouse shooting to co-exist with hen harrier populations. “This visit was an opportunity to see how the project is operating on the ground. Diversionary feeding of hen harriers at the moor is a key part of protecting grouse numbers and it was fascinating to learn that harriers that have been tagged at Langholm are being satellite tracked as far afield as France and Spain. Last year the project hosted a visit by the Rural Affairs and Environment Committee during its final consideration of the Wildlife and Natural Environment Bill. Further information on the project is at http://www.langholmproject.com/. Banffshire & Buchan Coast MSP Stewart Stevenson officially opened a new base in the North-east for Direct Savings on Friday. The energy-efficiency and insulation company based in Livingston now has a base at the Buchan Braes, Boddam where it employs eight staff and hope to expand to recruit a further four staff by the end of the year. “I’m delighted that Livingston based Direct Savings have opened up a base to serve the North-east of Scotland here in Buchan. “This is a positive investment in the Buchan economy and already eight people are employed at the site. The eight new staff members at the Buchan Braes site, including manager Andy Oglesby, are on hand to help Buchan homeowners eliminate their fuel bill worries this winter and look forward to increasing their customer base even further. "We are honoured to have Stewart Stevenson MSP, Minister for Environment and Climate Change officially open our branch at Buchan Braes business centre. "We have employed eight full-time staff over the past two months and hopefully will be looking to employ more in the foreseeable future." Scientists from across the globe are set to help Scotland develop a better understanding of the role peatlands could play in meeting climate change targets. The experts will be in Scotland for an Intergovernmental Panel on Climate Change (IPCC) science review meeting which Scotland will host in January focussing on wetland management, including peatland restoration. Climate Change Minister, Stewart Stevenson, said the meeting would be an important step towards developing the world's understanding of the role carbon-rich peatlands play in contributing to the nation's climate change ambitions. Hosting the IPCC is just one of many high level events Scotland has been involved in which Mr Stevenson said reaffirmed Scotland's reputation as an international leader in tackling climate change. "Scotland has iconic, internationally significant peatland resources, and we need to manage them not only to help meet our climate change ambitions, but also as important reservoirs of biodiversity that stretch from the Borders to the outer islands of our country. "That's why I am delighted that we will welcome this Intergovernmental Panel on Climate Change (IPCC) meeting to Scotland in January. We are well placed to host this international event on peatlands, a land-type Scotland is considerably rich in. "The IPCC is currently finalising a programme of work which will look to allow wetland management - including peatland restoration - to be incorporated into international greenhouse gas reporting - a position the Scottish Government fully supports. "As we look forward to the main UNFCCC conference in Durban, hosting this meeting once again demonstrates the leadership role which the Scottish Government is taking both at home and internationally on the issue of climate change." "In Scotland we have some of the very best examples of peatland restoration in Europe, and we are delighted to share this experience with IPCC experts. By improving the state of peatlands we can make a significant contribution to reducing carbon dioxide levels in the atmosphere." The Intergovernmental Panel on Climate Change ( http://www.ipcc.ch/) was established by the United Nations Environment Programme and the World Meteorological Organization (WMO) to provide the world with a scientific view on the current state of knowledge in climate change. Peatlands are significant stores of carbon, which if allowed to dry out through drainage or disturbance, will release carbon dioxide into the atmosphere. It is possible to restore damaged areas of peat, although the process of restoration is complex and variable in effectiveness. A change to international rules on reporting of greenhouse gas emissions to include the positive effect of restoration measures on damaged peatlands are currently under consideration by IPCC. As part of that consideration, the IPCC meeting to be held in Scotland 24-26 January will focus on a review of the available science and is the second of a series of five meetings to be held in 2011-2013.